At Dela Landscaping Supplies we have a large range of products in our Ballarat yard including: sands, gravels, rocks and quartz, sleepers, borders and garden edging, mulches, barks and turfs. Stuck for ideas for your own landscaping project? If you need other landscaping supplies in Ballarat, come and see our displays at Dela Landscaping Supplies to inspire you in your own domestic gardening. 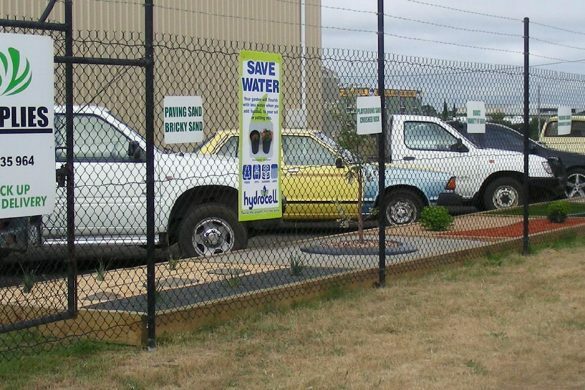 Dela Landscaping Supplies are Ballarat’s premier wholesale and retail supplier of Perma-Fert. Perma-Fert is a highly sought-after fertiliser, soil rejuvenator and conditioner. Combining pig manure and worm castings, Perma-Fert contains a complete range of nutrients and trace elements essential for healthy plant growth.